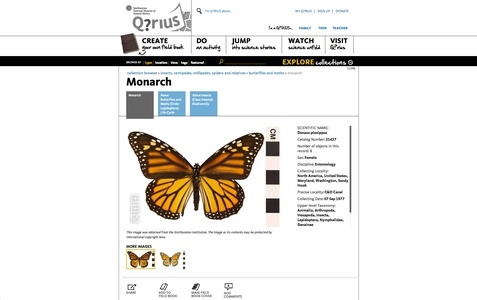 Q?rius, a first-of-its-kind interactive and experimental learning space brings the unique assets of the Smithsonian's National Museum of Natural History – the science, researchers, and collections – out from behind the scenes. 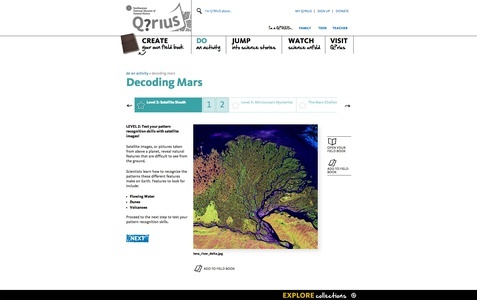 Q?rius, an evolving learning lab was made with exploration in mind. Through conversations with scientists and interactions with thousands of authentic specimens and objects, visitors will enhance their grasp of the natural world, awaken new interests, and build inquiry skills for life. Educators visiting Q?rius will be invigorated with fresh ideas about how to engage their teen and tween students in science. Families will have fun while increasing their appreciation of science. The companion website brings the museum's collection home to those who have already visited the exhibit as well as those unable to get there in person. At the heart of the website is the museum’s searchable collection, providing details and context to its thousands of objects. The underlying database and the content management system serves both the website and the interactive stations in the museum, recording user activities, and providing them with the opportunity to resume their explorations at home at the point they left off at the museum. 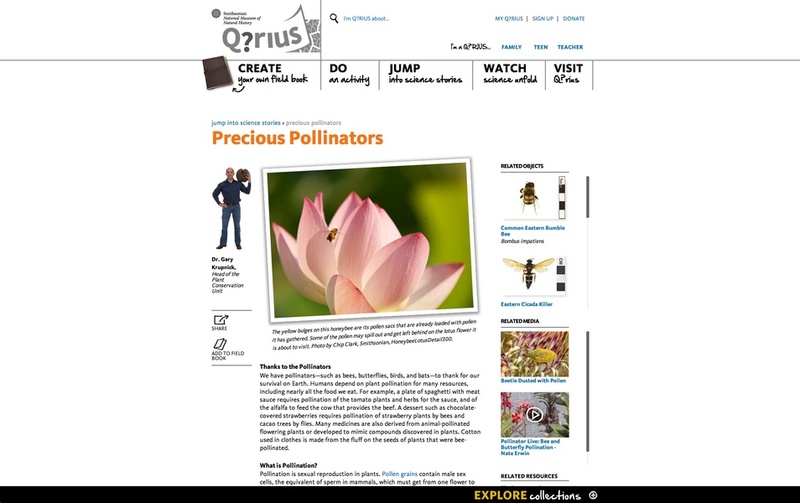 Web users can collect objects and topics of interest in their online field book, a digital repository for content on the site they want to reference down the road for school projects or their own exploratory needs. The field book, tied to their personal user accounts, is later available to registered users at school and at home. 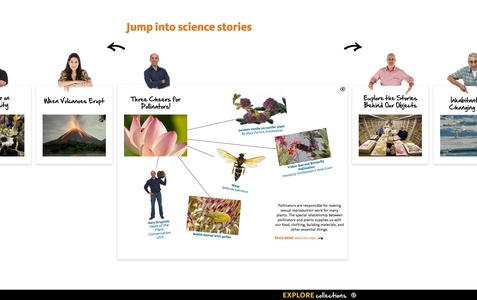 Engaging educational activities allow users to earn stars and badges, that unlock additional opportunities for deeper exploration on the site and in the physical exhibit.